In the years surrounding the Cuban Revolution (solidified when President Batista fled the country on New Year’s Day 1959), Ramón Sabat was instigating a musical revolution at 410 San Miguel Street in downtown Havana. That address housed a top-notch recording studio and the nerve center of Panart Records, one of the most successful independent Cuban record labels. 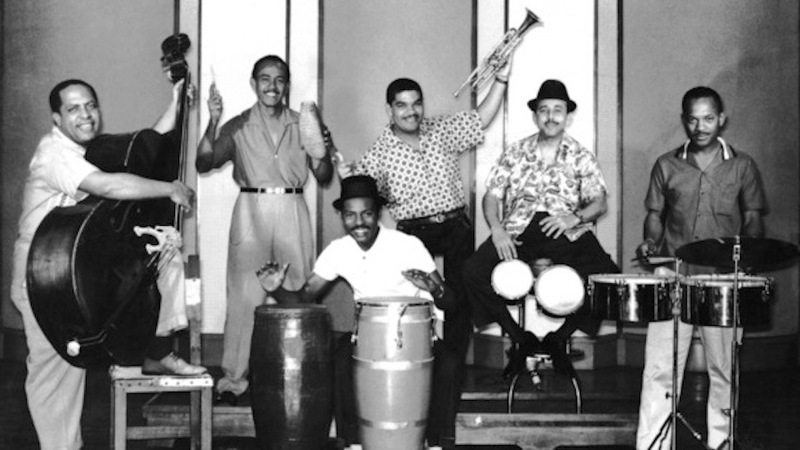 From 1956 to 1964 Sabat recorded a series of descargas (jam sessions) there with Cuba’s top musicians and bandleaders. The resulting Cuban Jam Sessions series spanned five revolutionary LPs and introduced the full spectrum of Cuban music – from son montunos to Afro-Cuban rumba – to listeners and musicians around the globe. All five volumes have been gathered by Craft Recordings in a new box set appropriately titled The Complete Cuban Jam Sessions, and it’s the most fun you’ll have absorbing the rich, vibrant musical heritage of our Cuban neighbors. Havana in the 1950s was enjoying a booming economy fueled by nightlife and tourism (which in turn was fueled by Mafia-controlled hotels, casinos, and nightclubs). The increased demand for live music allowed the chief practitioners of son Cubano to thrive like never before. But a separate culture of late-night “jam sessions” had developed among working musicians, and Panart’s Cuban Jam Sessions series sought to capture the exciting sound of freedom and experimentation heard at these informal gatherings. Sabat would open the studio doors late at night to welcome musicians after they finished their nightclub gigs, and in this relaxed but controlled environment, they would explore new combinations of their native rhythmic traditions with the improvisational vocabulary of modern jazz. Volumes 1 and 2 in the Cuban Jam series were produced from a lengthy session led by bandleader Julio Gutiérrez and pianist Pedro “Peruchín” Jústiz. These sessions were loose-knit affairs, and it shows: Gutiérrez or Peruchín would establish a tempo, key signature and tumbao (4-bar musical phrase), and the band would be off and running. It’s clear that the musicians are relishing the opportunity to stretch out musically, and many of the tracks are peppered with studio chatter and/or enthusiastic shouts from the musicians and their guests. 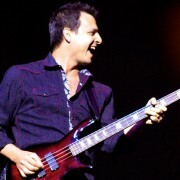 After the success of these first two volumes, a third was produced led by tres player Andrés Echevarría (aka El Niño Rivera). The Rivera session is slightly more controlled, with vocal choruses punctuating the relentless grooves and often bebop-inflected solos. But it was Volume 4, led by legendary bassist Israel “Cachao” López, that caused an international sensation. Cachao’s Panart session, his debut recording as a bandleader, consisted primarily of a much smaller band — a sextet of trumpet, four percussionists, and his own powerful bass. The twelve improvised tracks were edited to tight, radio-friendly lengths of two to three minutes each. The resulting Cuban Jam Sessions in Miniature LP became a landmark album for Latin music fans; it is a stellar example of Cuban music at its best and cemented Cacaho’s status as one of its primary exponents. By the early ‘60s, the growing international fascination with Cuban music (and political unrest at home) drove many musicians to settle elsewhere, primarily New York and Miami. Flautist and bandleader José Fajardo had already enjoyed considerable success in New York and settled there permanently following a 1961 tour of Japan. Volume 5 of the Jam Session series, released in 1964, features Fajardo and his All-Stars working out on some driving, flute-driven descargas recorded in both Havana and New York several years apart. Three years earlier the new Cuban government, in an effort to nationalize the culture, had seized Panart Records and its studio. Fortunately, Sabat’s wife Julia had already managed to liberate about 80% of Panart’s catalog by sending the master tapes to New York, and the Cuban Jam Sessions series thankfully exists today as a result. Craft Recordings has done an excellent job of presenting these legendary Cuban Jam Sessions volumes with respect and reverence. Each of the five discs comes in a miniature replica of its original LP sleeve, and the extensive booklet is a treasure trove of crucial information: personnel listings of the recordings, biographies of many key musicians, and richly detailed liner notes from Judy Cantor-Navas that tell the compelling stories behind this incredible music. The sound quality is also tremendous for audio that was recorded almost sixty years ago; having owned the Cachao tracks since the ‘90s on a Caney Records CD reissue (Cachao Y Su Ritmo Caliente: From Havana to New York), I can vouch for the powerful slam-dunk remastering job that breathes new sonic life into this exciting music. The Complete Cuban Jam Sessions is essential listening for anyone seeking prime Cuban music direct from the source. But be forewarned: exposure to these danceable grooves and stellar improvisation will make just about everything else you hear for a while sound tame in comparison.